We are close to being done decoding the 2014 attraction! With the announcement being made in just a few days, I think we need a new thread to talk about the construction progress as we see it develop over the next 6 to 8 months! I will start out by posting a construction picture I took during the Coasting for Kids Event on 6/9/13 on the EF showing the footers! Cool! Will you try and get the exact settings each time, so we can see an amazing, progressive time-lapse? Sweet, we shall use this once the announcement is made! Are there any more current pictures from the Eiffel Tower? Probably more work done since the 9th of June. 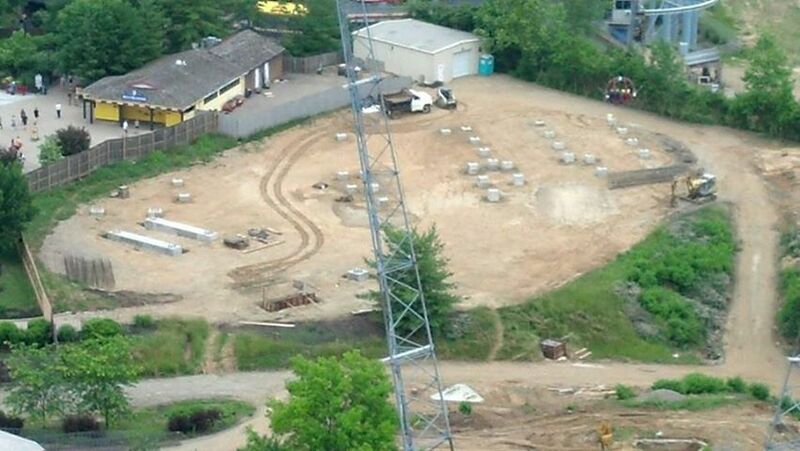 There is now a webcam pointed at the construction site on Kings lsland's website. This will be the popular thread of the rest of the year! Can't wait till Thursday! Wonder if this will be as popular as the Diamondback Construction Thread? I wonder how often we will see updates on construction from Don on the PR front. CP did a great job of that with Gatekeeper. Made me feel like I was there daily almost to see the progress. If anyone post pictures try and post the date, time, and location taken! For future reference, you can get a direct link to a particular post by clicking on the post number. Looking forward to seeing some construction pics, anyone have any to post from this week? I can see a bunch being posted in here on the 8th as well! Thanks for letting me know! I'll keep that in mind. 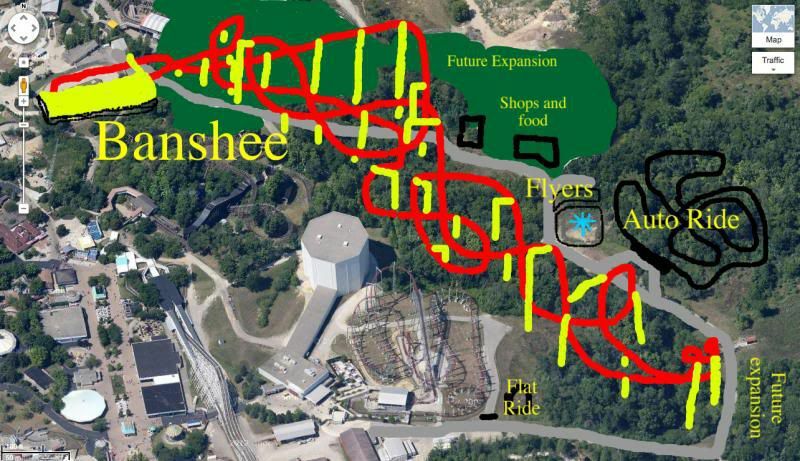 Whoah if that were real Banshee would be massive. that thing makes FOF'S building look tiny! For those KIC'ers at the park today post your construction pics so we can see what is going on as the day progresses! Thread renamed to Banshee! Can't wait to see your construction Pics! Is this removing flight deck too? Nope if anything it will compliment it! I do not see it either and I watched the webstream, but not sure if Don or Greg said or not? This has to be the best teaser video I have ever seen! Just amazing! Maybe they'll surprise us with Bat too! I am interested to see what happens to Sling Shot.